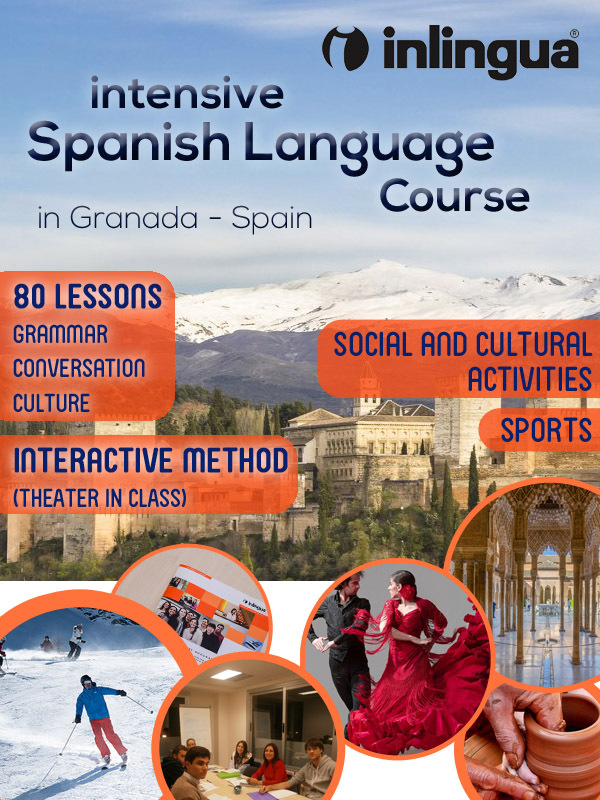 Enjoy the experience of vividly learning Spanish through our linguistic, social and cultural immersion course. The course is designed to be adaptable for all learning levels and is specially aimed at university students. We work with a maximum of 8 students per group. The lessons focus on learning the language through conversation and our teachers use an interactive method to ensure the involvement of the students in the learning process. You receive 5 hours of lessons every day from Monday to Friday. These lessons cover grammar, conversation, cultural and social topics. 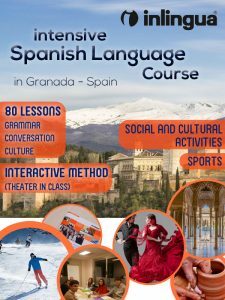 While the mornings are dedicated to in person lessons in our school, in the afternoons and evenings you will experience Granada’s streets, markets and people. We have a wide range of activities for you to choose: let the Alhambra enchant you at night, savor an aromatic tea in a tearoom on Elvira Street, visit the beaches of Salobreña or Almuñecar or go to Sierra Nevada mountains. These are just a few of the many possibilities that we can offer for you to enjoy Granada. You can start the course on any Monday of the year and we will adapt the type of activities to your preferences and necessities. Contact us for any further details and information. Dare to let inlingua surprise you!